Asfar’s Consultancy Team are expertise in Development and Capacity Building in the NGO, Charity, Education, and Community sectors, with particular specialism in: Youth work; Sport for Development; International Development; Apprenticeships; Informal Learning; Welfare to Work sectors. Asfar’s team has also worked for International Diplomatic bodies, as well as Political and Public Affairs companies. Asfar can get your organisation to it’s’ destination. Through developing SMART Strategy Plans, Competitors Analysis, Market Research and Change Management, Asfar can support your organisation to continue to develop in a dynamic and fast changing industry. Asfar’s Consultancy Team is experienced in a wide range of Fundraising activities. Whether it is identifying funders, completing bid analyses, major and minor donor management, bid writing, negotiations with strategic partners, Asfar can support your organisation to get ahead. Asfar is especially experienced in supporting small organisations, who may never have had a formalised Fundraising strategy. Asfar can support organisations to develop a SMART strategic Fundraising plan, pinpoint key activities and support you to gain new funders. Asfar is passionate about designing and implementing unique projects and aims to support small NGOs, Charities and Community organisations to develop their own dynamic programmes. Asfar can support or even complete the full design process. Furthermore, Asfar can provide training to your staff members in how best to design community, youth, sport and international programmes that will achieve funding from Foundations, Trusts, Institutional, EU and International funders. 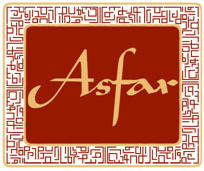 To for a free consultation, email info@asfar.org.uk.